Sepia photo showing general view of Kintradwell Broch, possibly taken during the Field Club visit of 1880. 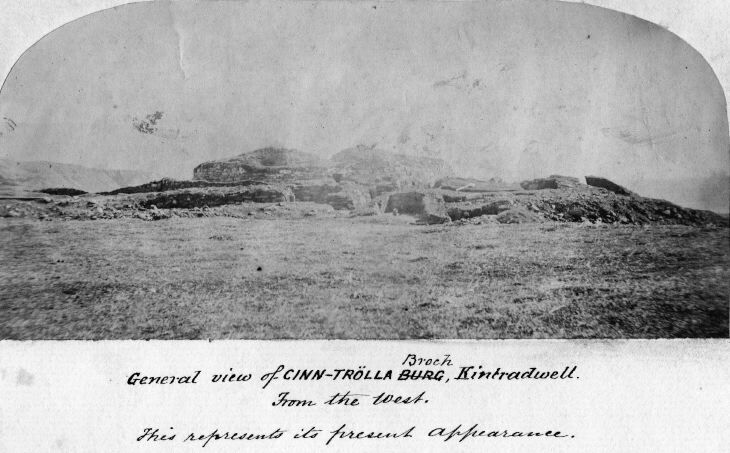 Mounted on a sheet of paper with "PLATE II" written in ink at the top and a caption written below: "General view of CINN-TROLLA BURG [BURG has been crossed out and replaced with Broch], Kintradwell. From the West. This represents its present appearance."